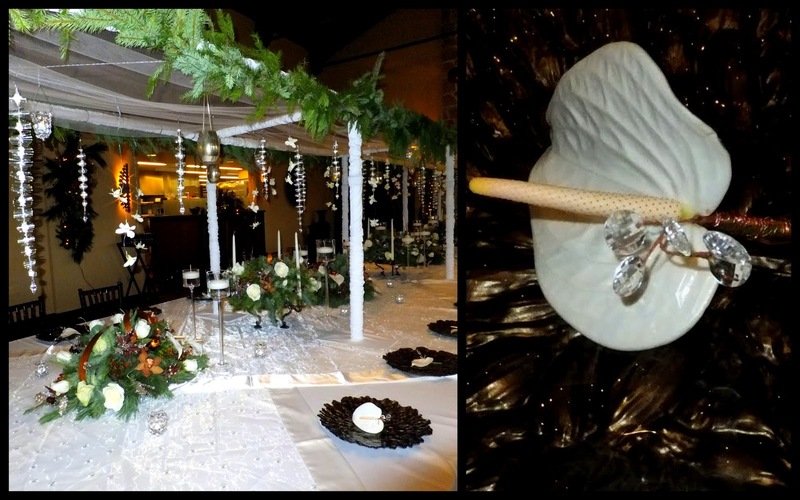 Table scapes have become very popular for head tables or King's table. The table scape involves multiple elements and heights along the length of the table. This table scape has multiple height candle sticks, some with candles and some with florals. 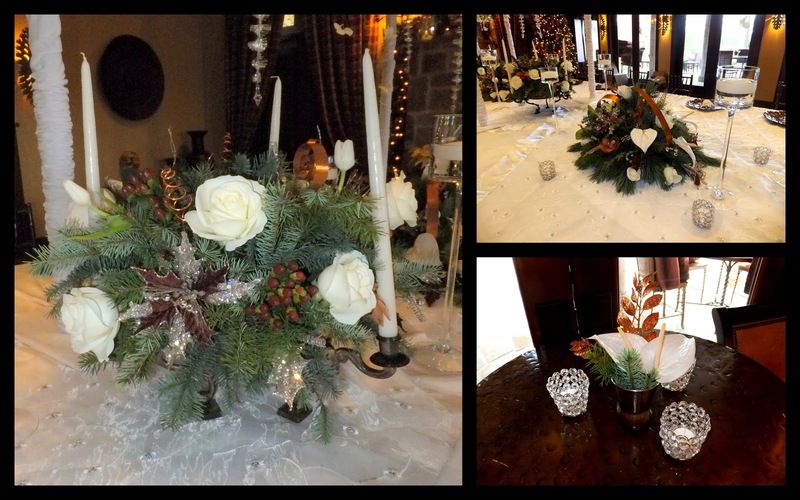 On the table we had a variety of greenery including ivy, ruskus and sprengerii with votives and succulents, creating a lot of interest and textures. What a wonderful time of year to celebrate! This is just a taste of how we like to spice up the holidays! The annual Advisory Board dinner at The Club at Carlton Woods always is an event to behold, and this year was no different. 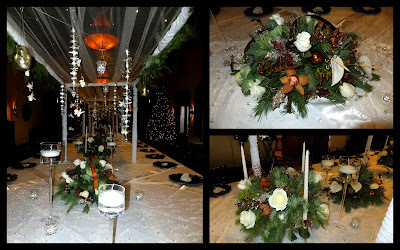 This fabulous table scape of whites, browns and evergreens with crystal and candlelight accents made the dining room sparkle.